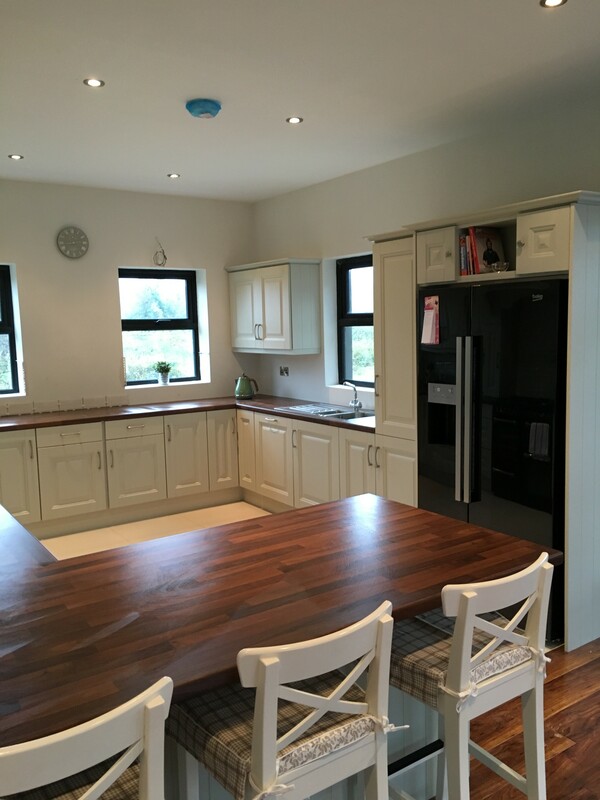 We just finished this kitchen, Its a large but compact kitchen which has everything this client wanted, breakfast bar, American fridge and over mantle with range master. 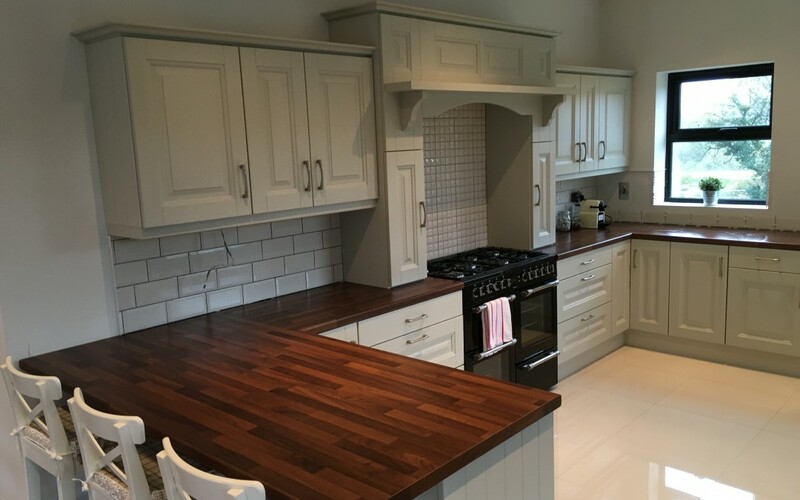 It has large drawers which ideal for storage. 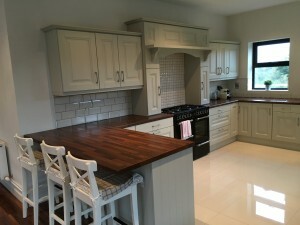 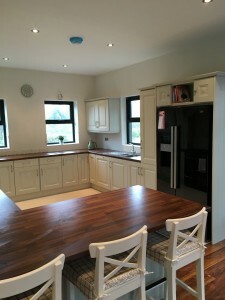 The walnut worktops are a lovely contrast to the painted doors. 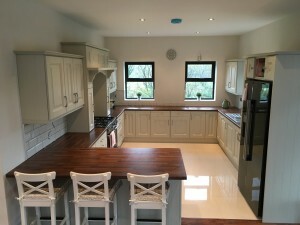 Lovely kitchen, I especially like the worktops.